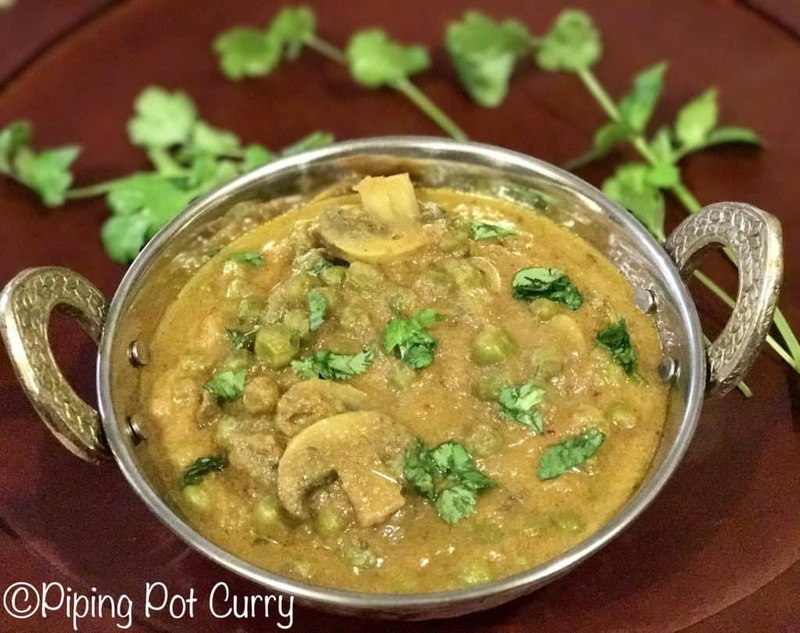 Easy and delicious Mushroom Mutter Masala or Mushroom Peas Curry made in Instant Pot or Pressure Cooker. 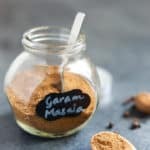 This vegan and gluten free Mushroom Matar Masala is perfect for a delicious warm weeknight dinner! Mushrooms, also known as kukkarmuta and khumbi in hindi are a source of powerful nutrients. 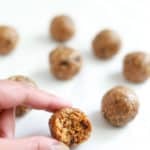 They are low in calories, fat-free, cholesterol-free, gluten-free, and very low in sodium, yet they provide important nutrients, including potassium, riboflavin, niacin, vitamin D and more. Mushrooms historically have not been as common in the Indian household, but growing in popularity. Another good thing about mushrooms is that they cook very quickly. Even more quickly in an Instant Pot. I use them frequently in curries, omelets, and pastas. For this recipe, I have used white button mushrooms. Just chop them and add them to a creamy onion-tomato gravy. They are delicious and you will love them. Serve this curry with rice, roti or naan. 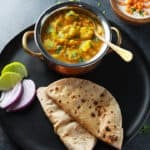 Another very easy recipe is Mutter Paneer Masala, check it out here. 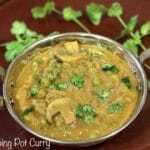 Green Peas and Mushroom curry made in a creamy onion and tomato gravy. Grind onion, ginger, garlic and green chilli to make a paste. Start the instant pot in saute mode. Add oil and cumin seeds. When the cumin seeds start to splutter, add the onion paste from step 1 to the instant pot. Cook for about 4 minutes until the onions turn golden brown. While the onions are cooking, grind tomatoes to a paste. Once the onions are ready, add the tomato paste, spices and salt to the instant pot. Cook for another 3-4 minutes. Stir in the green peas and mushroom. Change the instant pot setting to manual mode for 2 minutes. Once the instant pot beeps, quick release the pressure manually. Stir in the cream. Garnish with cilantro. Mushroom Mutter is ready to be served. To make this recipe vegan, skip the cream or replace with coconut cream. 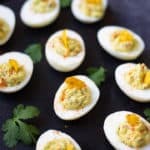 I actually have a question, and am so excited to try this recipe! I read your instructions, and it says to grind the tomatoes into a paste. When i read anything about tomato paste, it means extracting a lot of the juices, and seeds. Is that what you mean? Or do you mean to literally just grind the tomatoes into a mushy broken up form of itself? I just want to make sure I’m doing this right, because I’m soooo excited to try it. Hey Heather – Great question. You are right, I just mean to grind the tomatoes to break them up. No need to extract water/seeds. If you like, just dicing the tomatoes will work too. Hope you enjoy it! Wow! That was phenomenal. I can’t believe how good it tastes vs how easy it was to prepare. Just made it, smells and tastes amazing. Super easy-took about 30 minute to make altogether. Just to clarify-high pressure manual correct? Hey Nayomi – That is right, Manual high pressure. Glad you liked it ???? My instant pot does not have a manual mode on the display, in such case how do i adjust the time manually? Hey Sangi – The Pressure Cook button is the same as Manual in newer instant pot models. If I double this recipe…does it change the cooking time? Hey Sukaneya – The cooking time will remain the same even if you double the recipe. Hope you enjoy it! 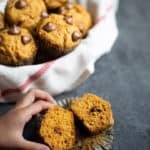 Just got an instant pot and I’m going to try the veganized version of this recipe this weekend. Thanks! Hey Amanda – congratulations on the new Instant Pot. Do let me know how the curry turns out!